It has been an eventful week in the for-profit education industry. First, Career Education Corporation’s CEO resigned after acknowledging that Career Ed had falsely reported job-placement rates. Career Ed owns a variety of for-profit schools ranging from Le Cordon Bleu cooking schools to Sanford Brown and Brooks colleges. Career Ed lost almost half of its stock value as a result of this admission. Even so, that didn’t seem so bad compared to the action at American Commercial College in Abilene, TX. Yesterday, federal agents swarmed ACC’s campus, dismissed students, and searched for evidence. The allegations? Falsification of employment reports; falsification of placement rates; forgery of students’ signatures; falsification of student’s academic progress; and falsification of student eligibility for admission. That sounds like organized crime to me, not higher education. Refreshingly, ACC must submit plans to the state “setting forth a clear offer of a full refund or completion of their education through” an approved teach-out program. In other words, students either get to finish their training in a program that is up to snuff, or they get their money back. I didn’t see anything, though, about students who already completed their programs at ACC, only to discover that the promised jobs were nowhere to be found, or who dropped out when they realized the whole thing was a fraud. Is there any relief for them? ACC is apparently owned by an individual, Brett Sheets, and my guess is that Mr. Sheets just isn’t going to have enough money to take care of all of those students. They may be able to defend collection actions on their student loans, on the basis that they were fraudulently induced into enrolling at ACC in the first place, but they will probably have lots of troubles before they get to that point. Student loans are generally not dischargeable in bankruptcy. So, if students are unsuccessful in defending collection suits, they can look forward to a lifetime of collection harassment. That is a very steep penalty for believing an admissions salesman who knew a lot more than you did. Wouldn’t it be nice if private lawsuits were as effective as a raid by federal agents in requiring schools to refund the tuition of students who were deceived? Is there a way to get at the truth of recruiting fraud a little more reliably in these situations to make lawsuits more effective? I think there is. What if for-profit schools were required to videotape their admissions “interviews”? Certainly the sales process is like sausage-making; it is ugly when you look at it after the fact. Even so, after a while admissions reps would get used to discreet cameras being placed in their offices. 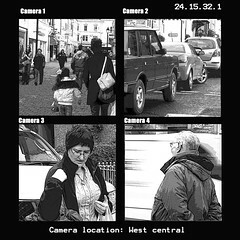 The recordings would be evidence supporting or refuting claims of false representations. Ultimately, the admissions process would be cleaner, meaning that fewer students would end up regretting their decisions to enroll, and for-profit schools would reduce their risk in lawsuits. Wouldn’t that make sense for everyone? Why not give it a try?